Victorian posies are round and small and can easily be held in one hand. 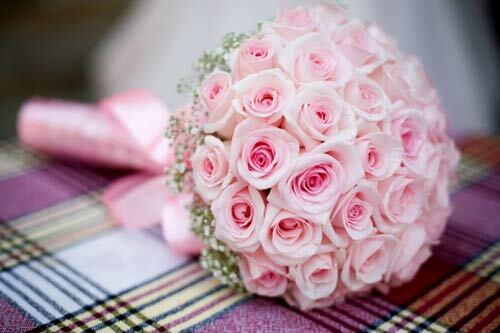 These bouquets first became very popular in mid 19th century for the bride and her bridal party. 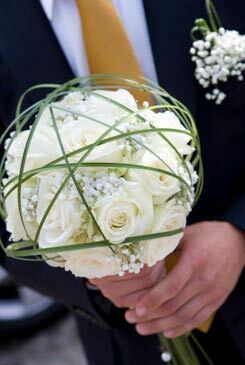 There are two styles of posy bouquets, one can be loose, hand tied and unstructured, the other formal and wired, the stems of the flowers are removed and replaced with florists wire, constructed into a much lighter posy with and easy to hold handle. These two styles are widely used where the natural stems are wrapped in a beautiful satin, velvet or organza ribbon and some embellished with pearl pins and beading trims. and decorated with satin pink ribbons. Bear Grass wrapped around a white rose bouquet combined with Lily of the Valley. Pretty petite hand-held white and green bouquet. Decorated with satin white ribbons. 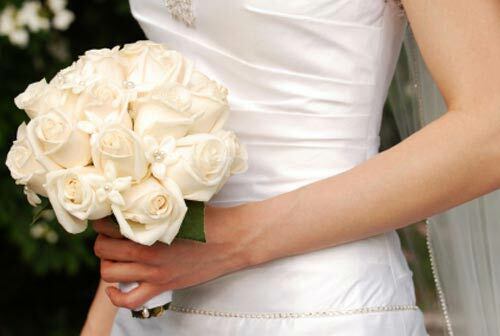 White rose bouquet decorated combined with staphanotis flowers with pearl beads in the centre. Finished off with lovely white satin ribbon.